Shugendo, a syncretic Buddhist religion in Japan, has been established based on syncretization between her ancient mountain worship such as “Kannabi” and “Iwakura” which refer to spirits inhabiting everything in the universe and Buddhism brought from the continent, and to which some elements of Taoism and Yin-Yang philosophy have been introduced. 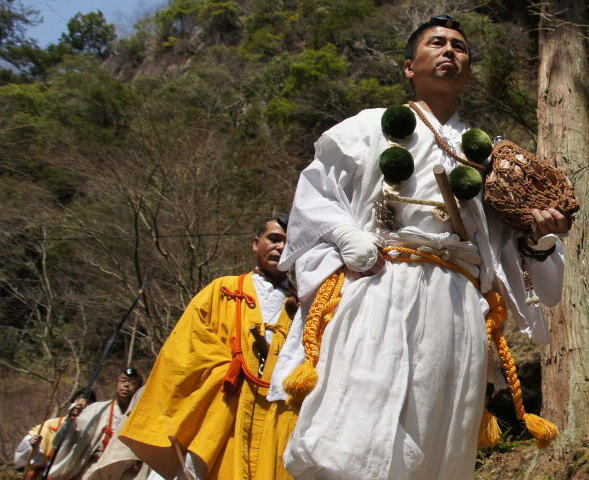 The religion is practical for ascetics to aspire enlightenment which involves transcendent power called “Genriki” through strict training in sacred mountains across Japan. 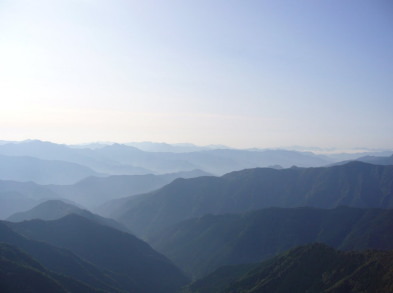 Dwelling in secluded deep mountains, practitioners are called “Shugenja” meaning “those who are free from illusion and aspire mystic virtue through training” or “Yamabushi” meaning “those who lie down in the mountain”. According to tradition, the origin of Shugendo was formed in Nara Period (710 - 794) founded by “En no Ozunu” (or En no Gyoja). 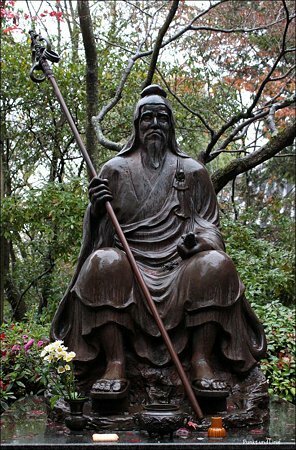 Though it is unknown whether he was the true founder, it is said he was a lay priest. Therefore, Shugendo supports laity principle along with a relic of the legendary founder. There is a power to unite various elements. 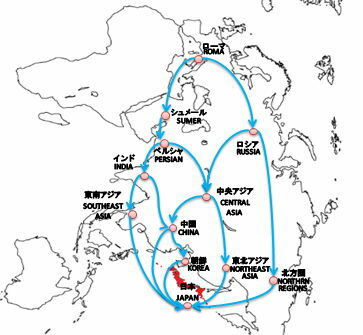 Japan is the real far-east terminus of path of civilization and culture from west to east Eurasia. They have been flowing endlessly like waterfall since thousands of years ago. We, Japanese probably have a higher affinity for various elements of different culture and custom as well as inherent ability to assimilate or modify them. In other words, Japanese might be too kind to deny, oppose or destroy them, or enough flexible not to do so. For instance, when “Kanji” or Chinese characters once upon a time were imported, Japanese began introducing some of those characters of which pronunciation was similar to “Yamato Kotoba” or ancient Japanese language which were used by them at that time. Eventually, their creativity was inspired by “Kanji” to modify them into “Hiragana” and “Katakana”. 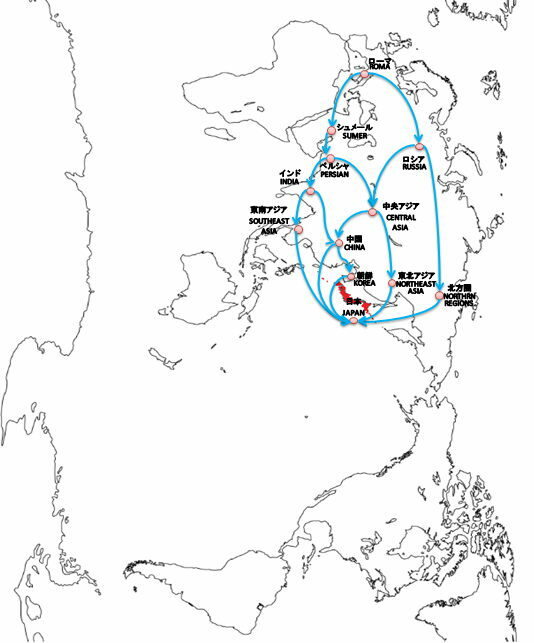 Japanese never gave up their own language while assimilating “Kanji”. Various styles of culture have arrived at the terminal where the Japanese inhabit. They have swallowed all of them to digest, modify and simplify for their own use. Such philosophies as Buddhism, Taoism and Yin-Yang have also been imported, which were mixed with Japan’s ancient Shinto and mountain worship to engender Shugendo. We can say that Shugendo has been accomplished according to the force of universal principle existing in diversity and/or as the result of integration of diverse elements. If there is a question about who Buddha or Deity is, our answer is that it is universal principle existing in diversity. Shugendo, based on universal principle, must be a hypostatical training system.